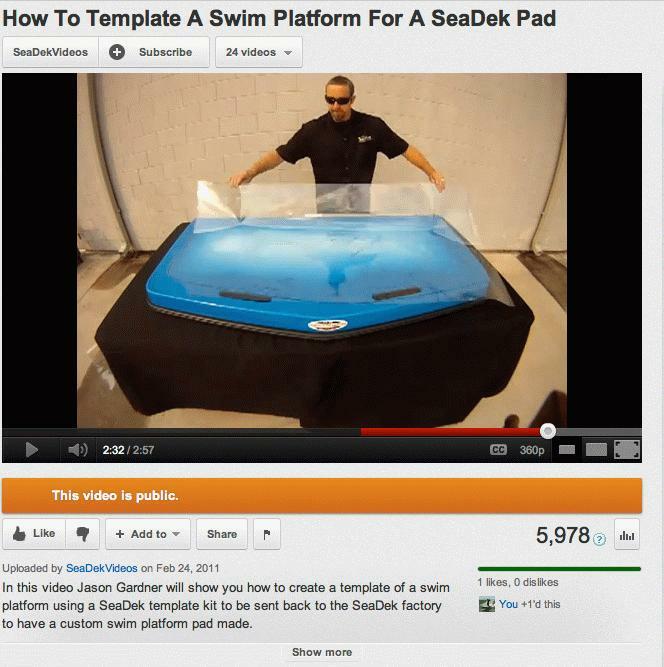 In this video Jason Gardner will show you how to create a template of a swim platform using a SeaDek template kit to be sent back to the SeaDek factory to have a custom swim platform pad made. 1, 2 or 3 sheets of clear Mylar plastic 40" x 80" 1 indelible marker data form 1 template instructions 1 set of EVA foam color samples. Once you have the kit follow the simple templating instructions. The cost of the kit is refundable upon purchase of a completed pad. Though the templating process is pretty simple, there are DIY video instructions to help you.